If you are serious about improving yourself as an athlete, then excellent training and intelligent recovery must become pre-requisites. Tracking your results over weeks, months and years will allow you to monitor your progress over time. Tracking your daily results can help you to determine the best days to up the tempo, the way that you train in order to get the best results, and exactly when to rest based on the actual readings from your body. 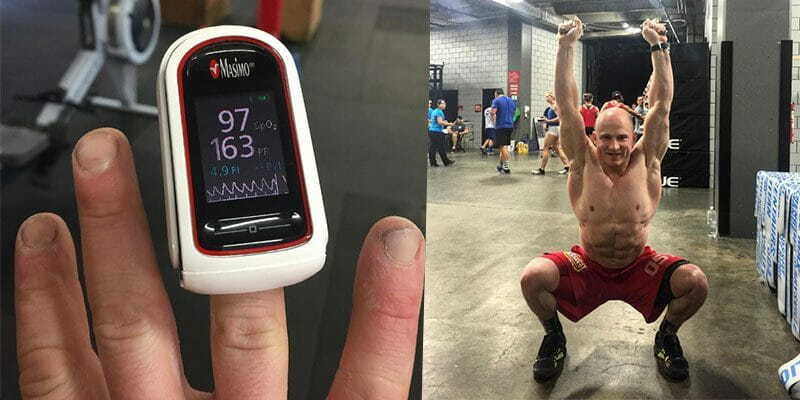 CrossFit Games® Athletes Anna Tunncliffe and Ben Stoneberg both use the Masimo MightySat™ to track their oxygen saturation levels, heart rate and respiration rate as they train. The MightySat pulse oximeter measures light absorption in the finger to noninvasively monitor oxygen saturation and pulse rate. It connects via Bluetooth® to the free downloadable Masimo Personal Health app that then tracks the results over time. This allows you to make informed decisions and improve your rest, recovery and training. 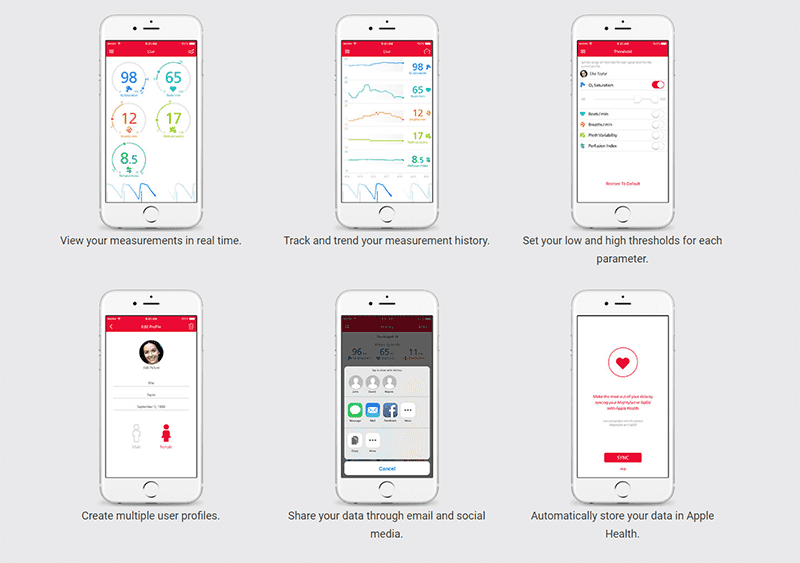 The parameters are also available on the Apple Health App. BEN STONEBERG is a 4 x CrossFit Games® athlete and CrossFit coach. He finished in second place at The West Regionals and lets his results speak for themselves. ANNA TUNNCLIFFE is the 10th fittest woman in the world, 2x Olympian, 2x Sailor of the year and was an Olympic gold medalist in 2008. BOXROX spoke to both athletes to find out more behind their training, recovery and why tracking and monitoring leads to success. BOXROX: How do you use the MightySat during training? During interval training I measure my heart rate and use this to determine how I approach workouts and training. I have been able to create much more quality interval sessions using the MightySat to measure when I am ready for the next interval. 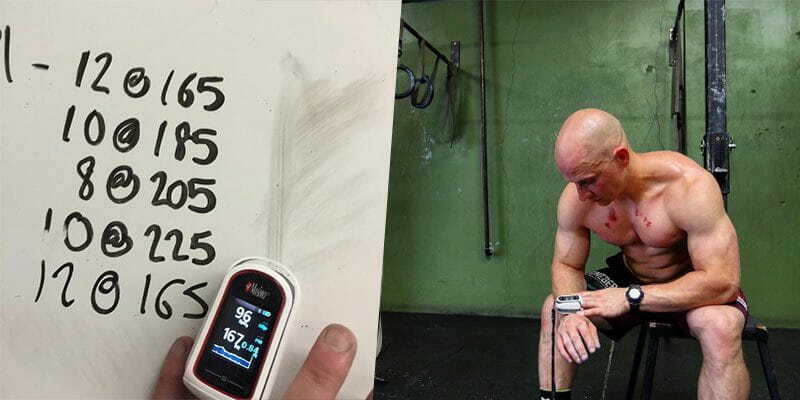 Unlike a bulky heart rate strap that could rip my skin because of friction on ropes or under weight vests, the MightySat is the most accurate and simple way to grab my pulse rate in between intervals. 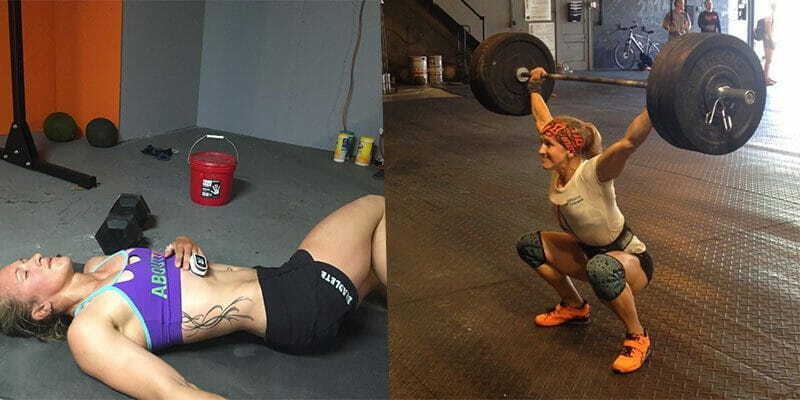 For example, with WODs, I will often work up to a certain heart rate using exercises like double unders or burpees, then lift at a higher heart rate. This forces my body to adapt and train under different conditions, exactly like a competition. Anyone can perform an overhead squat or clean and jerk when they feel fresh, but what about at a higher heart rate or under fatigue? 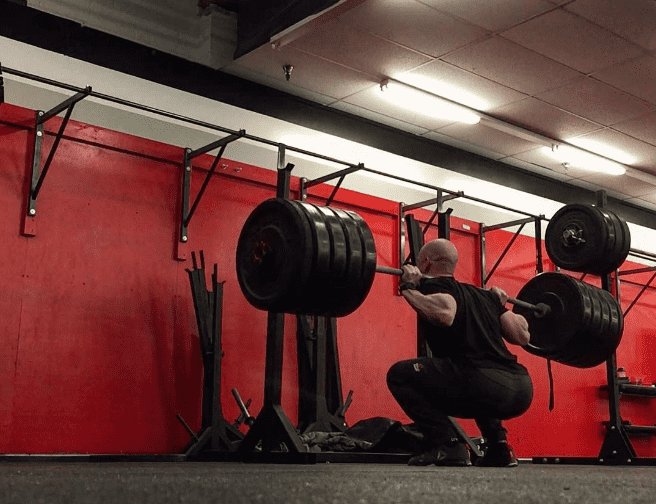 5 x 400 run + 1 clean + 1 hang clean (80% of your 1RM). Begin the next interval when your heart rate drops below 100 bpm. Scale this appropriately for your own ability. Measure your heart rate beforehand to find a resting pulse rate. Complete the workout then time how long it takes your heart rate to return to normal. How do you use the MightySat for recovery? I measure my oxygen saturation level every morning and night and make sure it is 97 or higher. Listen to your body. I train three days on, one off, two on, one off. This gives me a couple of rest days so I can recover. I will often adjust these days my oxygen saturation level is too low, because it is a good indicator that I am fatigued and need more recovery. As a result, you will not perform to the best of your abilities. Recovery days are great for a light jog, rowing or swimming. Minimal impact while increasing your heart rate just a little to help with recovery! If you keep a level head and keep working you will get better. When you work out and push yourself to your limit every day, you feel tired regularly but using the Masimo MightySat allows me to really track when I am low on resources vs. just tired. The data it gives me has helped improve my training and allows my coach and I to work on scheduling rest days much better than guessing, which could mean the difference between winning and losing. I use my Masimo MightySat with a range that my coach and I dialed in. We use the numbers 100-95 to base training upon for the day. If my numbers before training are 96 or above we will train, 95 will lead to a rest day or an active recovery day. 96 however means I’m pushing it close to a rest day so not to judge performance too much if the workout doesn’t go totally as I think it should. If I’m 97 or above, then I expect big things out of training. 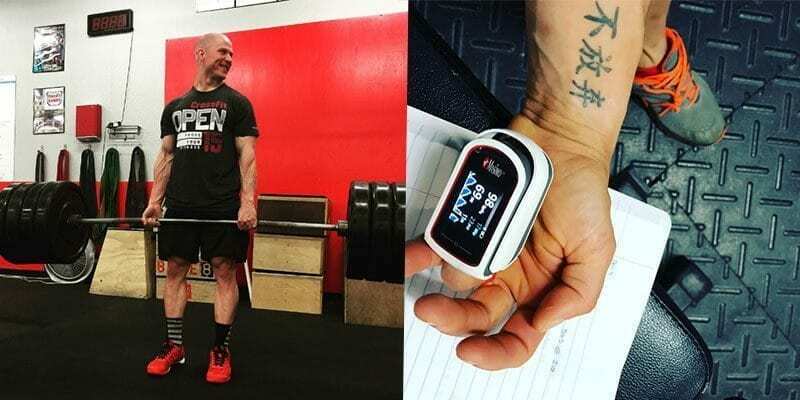 How important is tracking and measuring results to the everyday Crossfitter and why should they do it? It is vital because it allows you to be smart about your training. Tracking helps to give more depth to how and why certain parts of it are working, and others are not. It also gives you practical reasons for why you might be having good and bad days. One of my favorite parts is that it allows heart rate to become a measurement and component for your training. The biggest challenge with Crossfit is to be good at everything, there are so many movements to work on. If you want to be one of the best, you have to train weaknesses while maintaining your strengths. It is an endless battle. Whomever is comfortable with every movement will be the most consistent in competition. Tracking your results helps you to achieve this aim, which is why it makes sense. Firstly, it allows any athlete to learn their numbers and it gives an indication of where someone is at. Goals help to give us targets to aim towards, but they are made more difficult to achieve if you don’t know how quickly progress is being made, or even if you don’t know where you started. This is not always the case with all athletes, but it tends to be a good guide for less experienced athletes and lifters. With the tracking and data that is made available from the MightySat, you can monitor your recovery times after workouts to see how they improve, test yourself at varying heart rates and make informed decisions about rest, which then leads to more effective recovery and faster progress. How much time do you spend on active recovery and mobility work in relation to your other training? Good movement is such an important part of training! Seriously, it should never be underestimated! It varies from day to day but I will always spend time on a proper warm up and stretching afterwards. As well as this, daily mobility work is essential. Get it done! I spend at least 35 – 40 minutes, but this can also last for up to 2 hours depending on what I’ve done during the day. I don’t like not to do anything, so I will usually try to do some form of active recovery such as swimming. Have you ever felt like quitting? If so, what made you continue? Yes I have. I injured my back and ankle fairly seriously and was not sure at all if I would make it back to The Games® in 2016. I was careful to monitor my progress and see if my body could cope. I concentrated on the present, and luckily I was able to get back to full health and compete again! No. It’s not in my vocabulary. Measure your heart rate beforehand to find a resting pulse rate. Complete the workout then time how long it takes your heart rate to return to normal. Repeat the workout 2 months later to monitor if your heart rate has improved. Partner 2: sideways plank walk 50ft then lunge back!